On the previous page, all the fractions containing radicals (or radicals containing fractions) had denominators that cancelled off or else simplified to whole numbers. What if we get an expression where the denominator insists on staying messy? This looks very similar to the previous exercise, but this is the "wrong" answer. Why? Because the denominator contains a radical. The denominator must contain no radicals, or else it's "wrong". To get the "right" answer, I must "rationalize" the denominator. That is, I must find some way to convert the fraction into a form where the denominator has only "rational" (fractional or whole number) values. But what can I do with that radical-three? I can't take the 3 out, because I don't have a pair of threes inside the radical. , which is just 1. We can use this same technique to rationalize radical denominators. This last form, "five, root-three, divided by three", is the "right" answer they're looking for. Nothing simplifies, as the fraction stands, and nothing can be pulled from radicals. So all I really have to do here is "rationalize" the denominator. I need to get rid of the root-three in the denominator; I can do this by multiplying, top and bottom, by root-three. When I'm finished with that, I'll need to check to see if anything simplifies at that point. Don't stop once you've rationalized the denominator. As the above demonstrates, you should always check to see if, after the rationalization, there is now something that can be simplified. It didn't get rid of the radical underneath. This is worse than what I'd started with! This multiplication made the radical terms cancel out, which is exactly what I want. This "same numbers but the opposite sign in the middle" thing is the "conjugate" of the original expression. By using the conjugate, I can do the necessary rationalization. By the way, do not try to reach inside the numerator and rip out the 6 for "cancellation". The only thing that factors out of the numerator is a 3, but that won't cancel with the 2 in the denominator. You can only cancel common factors in fractions, not parts of expressions. In this case, there are no common factors. Nothing cancels. The denominator here contains a radical, but that radical is part of a larger expression. To get rid of it, I'll multiply by the conjugate in order to "simplify" this expression. It can be helpful to do the multiplications separately, as shown above. Don't try to do too much at once, and make sure to check for any simplifications when you're done with the rationalization. You can use the Mathway widget below to practice simplifying fractions containing radicals (or radicals containing fractions). Try the entered exercise, or type in your own exercise. 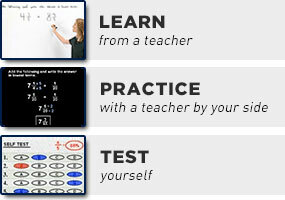 Then click the button and select "Simplify" to compare your answer to Mathway's.